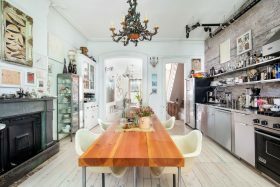 Anyone with Brooklyn brownstone dreams will be entranced by this 5,500+ square-foot Carroll Gardens townhouse whose considered design and addition of every possible luxury of modern living come courtesy of a thorough reconstruction by CWB architects and Manhattan-based interior designer Tamara Eaton. 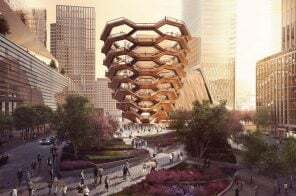 Even better news: 2,000 square feet of outdoor space and an elevator to access all of it. The six-bedroom residence at 32 1st Place, which has been featured in New York Cottages & Gardens, rings in at $8 million. 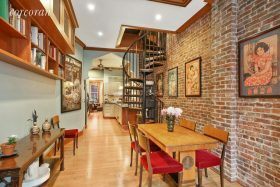 In the picture-perfect Brooklyn neighborhood of Carroll Gardens, a charming four-bedroom townhouse at 207 President Street has hit the market for $3.475 million. Built in 1890, the home boasts stunning architectural details like arched doorways, raw ceiling beams, exposed ductwork, rustic brick walls, and tin ceilings, as well as coveted outdoor space and a deck that overlooks the garden. 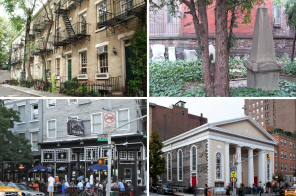 The city’s Landmarks Preservation Commission on Tuesday designated the Hans S. Christian Memorial Kindergarten at 236 President Street and the adjacent apartment building at 238 President Street as individual landmarks. The two Carroll Gardens buildings are associated with Elmira Christian, an advocate for early childhood education. 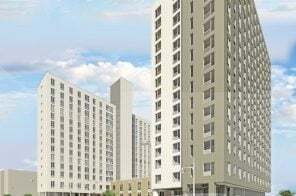 “These two properties are distinguished by their architecture and share a great history of education and social reform in Brooklyn,” LPC Vice Chair Frederick Bland said in a statement. 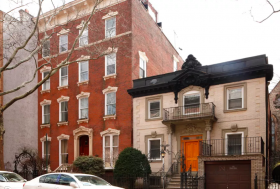 An unusual Carroll Gardens building, once the first freestanding kindergarten to be built in Brooklyn, is seeking a new owner, asking $4.95 million, now that it may not be headed for the wrecking ball. 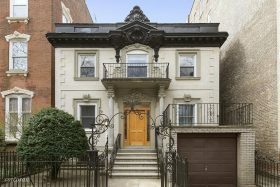 The Landmarks Preservation Commission calendared the building (along with the apartment building next door), now a unique single-family residence, at 236 President Street for landmark status consideration on Tuesday. 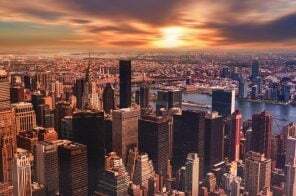 Neighborhood residents and concerned citizens–including folk hero Joan Baez, whose grandfather once lived next door–have been rallying to stop the building’s planned demolition as Brooklyn Paper reported last month. 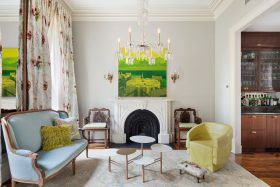 The Manhattan-based firm Loci Architecture took plenty of care in the renovation of this historic Carroll Gardens townhouse, which dates back to 1878. (According to the firm, the home was once occupied by the last queen of Sikkim, a northeastern state of India.) In a complete renovation and rear extension, Loci completely decked the interior out with wood–everything from salvaged pine, to Douglass Fir, to reclaimed barn timbers. 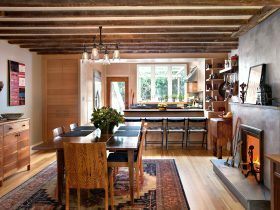 Wood floors, ceiling beams, built ins, and storage space make for a warm, textural interior. In the 1940s, two attorneys from Manhattan let the mortgage payments lapse on a building they owned in Carroll Gardens. Julius Freilicher and Martin Auslander had a $3,300 mortgage with Dime Savings Bank on their tenement at 541 Clinton Street. 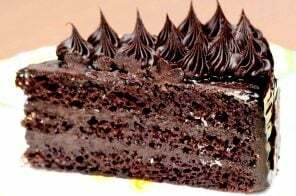 Believing it was a better idea to not pay the mortgage, the two lawyers decided the best thing was to file a deed of gift, as the Brownstone Detectives reported. The receivers of this gift? Adolph Hitler and Joseph Stalin. 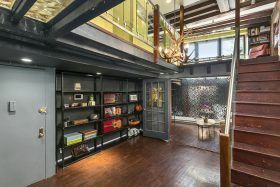 The listing calls this two-bedroom condo on the lower two floors of a converted milk factory at 395 Smith Street “the most unique hideaway in Carroll Gardens,” and we’ll agree there’s some extremely creative use of space at work. Besides that, there are two stories, two bedrooms, and two baths for a reasonable-sounding $875,000 in an expensive and lovely neighborhood. 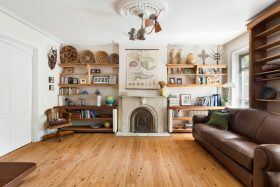 This Carroll Gardens duplex offers ton of space to spread out. 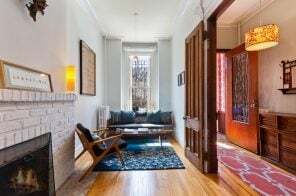 A private entrance from the 1930s brick building, at 483 Court Street, leads into a two bedroom, spanning 1,250 square feet over two floors. There’s also an entire basement below the unit, as well as a private deck and garden off the lower level. This is the only apartment on the market at the quaint five-unit cooperative, and it’s asking $1.495 million.